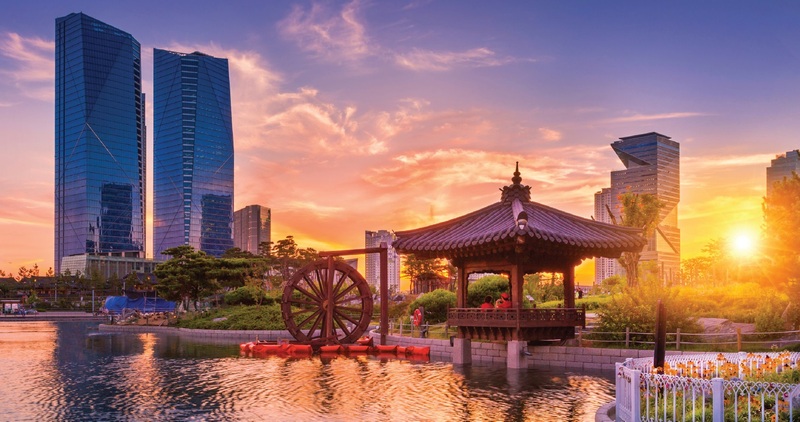 With its dazzling mix of ancient shrines and temples of technology, Cold War thrills and sizzling street food, South Korea is a holiday hotspot waiting to happen. Go now before the crowds. Junks and megayachts, street markets and skyscrapers, temples and neon bars: ancient meets modern in a cultural kaleidoscope that makes South Korea one of the most exciting destinations on the planet. Surprisingly few cruise passengers are currently making the trip – but those who do are in for a treat. A port stop in Incheon gives you several options. 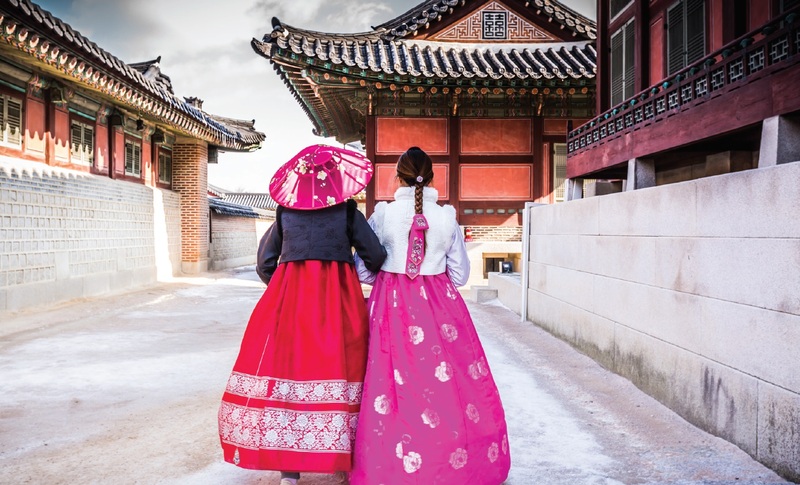 An excursion to Seoul is the likeliest choice, and cruise operators offer a selection of day tours. The attractiveness of the Korean capital is no accident. Bounded on three sides by mountains and on the fourth by a river, the site was chosen by monks in the 14th century. They believed it possessed strongly protective feng-shui, and to take in the panoramic views from Namsan Mountain is to get a sense of that spiritual power yourself. A first-timer’s itinerary might include the Blue House – home of the South Korean president – and nearby Gyeongbokgung, largest and grandest palace of the Joseon Dynasty, which ruled for more than 500 years until 1910. The vibrant neighbourhood of Insadong is heaven for street-food enthusiasts (try the crispy hotteok pancakes, spicy dumplings and dragon’s beard candy), while souvenir hunters will find heritage crafts including hanbok (silk garments) and hanji (handmade paper). The Korean Folk Village and the National Museum eloquently recount the country’s history, and if your cruise ship is berthed long enough, the evening Korea House Arts Performance is an hour-long show incorporating traditional dance and music, with a delicious 50-dish buffet to follow. But this is a city that lives in the present. Bubblegum colours and Korean pop beats are everywhere, and you can even get a glimpse of the future at Samsung D’light, an exhibition space featuring the latest innovations from the electronics giant, or Digital Media City, a state-of-the-art entertainment centre. A more left-field excursion choice would be the Demilitarised Zone. A strip of land just 2.4 miles wide by 155 miles long, the DMZ (pronounced with an American “zee”) is the world’s most heavily defended border. Cutting the Korean peninsula in two since 1953, it divides South Korea from the communist North. Somewhat bizarrely, this last battlefield of the Cold War has become one of South Korea’s great tourist attractions, with several observatories overlooking the minefields, electrified fences, troops on high alert, and the North Korean “propaganda village” of Kijong-dong, over which a red-starred flag flutters provocatively from a 160m tower. With the tension palpable, it can be an unsettling experience to visit the DMZ, but there is nowhere quite like it on earth. Alternatively, you can choose to remain in Incheon itself, in which case you should head for the briny delights of the fish market at Yeonan Pier early in the day. Here 500 stallholders sell the freshest catch, live seafood and typical local dishes of raw fish (hwae). Then make your way to Wolmi Traditional Park for a complete contrast: serene wooded walks leading to a delightful collection of gardens, modelled on those of palaces and aristocratic homes, as well as the more modest gardens of ordinary Koreans. Incheon’s Chinatown dates back more than 130 years and makes a fine setting in which to sample Sichuan and Cantonese cuisine for lunch. Finally, the 140 stores of Sinpo International Market dazzle with displays of fruit, vegetables and other produce, and don’t miss the chance to try its most famous item – dakgangjeong, a Korean speciality of crispy fried chicken in a sweet and spicy sauce. 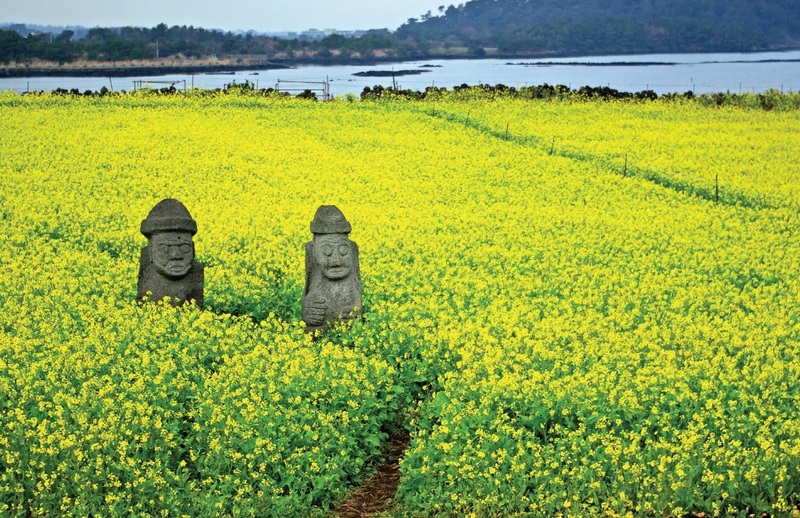 Dubbed the San Francisco of Korea, for its bridges, beaches and hilly neighbourhoods, Korea’s second city is richly endowed with historic temples too. Beomeosa, one of Korea’s five great Buddhist sanctuaries and home to one thousand monks, is the oldest and perhaps the most magical, set in a valley of wild wisteria at the foot of Busan’s guardian mountain. But the 14th century Haedong Yonggungsa temple also bewitches in its highly unusual, ruggedly beautiful coastline setting, ablaze with colour during cherry- blossom season. Nearby Haeundae Beach is a picturesque, almost mile-long stretch of white sand where visitors can watch Korean sports and games, from wrestling to seesaw jumping, arrow throwing and tug-of-war. In the mountains between Busan and Gyeongju, Tongdosa Temple houses the holiest shrines of the Buddha, and Gyeongju itself, capital of the 1,000-year Silla Dynasty, is known as the “museum without walls” for its extensive historical remains – stone pagodas, ornate temples and royal tombs. As you might expect of the country’s biggest port, Busan also boasts Korea’s finest fish market, and there are opportunities too to appreciate an exquisite tea ceremony, which associates the preparation and drinking of tea with Seon Buddhist meditation. A large tropical island in the Korea Strait, idyllic Jeju (Cheju) makes a supremely relaxing cruise stop blessed with breathtaking beaches, waterfalls, mountains and gardens. The island is known for its female divers (haenyeo), keeping alive an age-old custom of free-diving to depths of 20 metres for as long as three minutes in search of shellfish, abalone and octopus. It is still possible to watch these remarkable women in action, and a small museum in the coastal town of Hado-ri tells their story through exhibits of tools, clothing and documents. Excursions may take in the Spirited Garden, the world’s largest botanic garden and home to 100 rare species of tree and 100,000 wild flowers, orchids and other garden plants arranged for scenic and sensory harmony. Visitors can also see Seongsan Ilchulbong (Sunrise Peak), a stunning, isolated volcano with a 600 metre-wide crater recognised as a UNESCO World Heritage Site, in the shadow of which stand quirky stone “grandfather” statutes. Further cultural insights may be gleaned at folk villages, food markets and a Nanta show – a creative and comedic performance of Stomp-like percussive brilliance, employing pots, pans, dishes, bottles, brooms, chopping boards and other kitchen items as instruments – which has found fame outside Korea as far afield as Broadway. Holland America offers 14-night cruises of Japan and South Korea aboard MS Volendam. 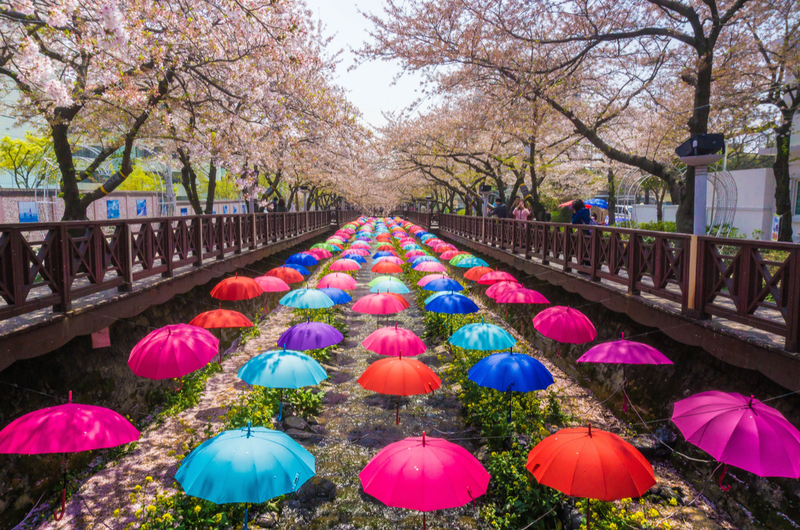 Visit hollandamerica.com (0843 374 2300) to book directly, or titantravel.co.uk (0800 988 5800) to book a Japan Explorer with South Korea package from £3,599pp, including door-to-door transfers; direct international flights with BA; a 2-night pre-cruise stay in Tokyo with excursions; a full-board cruise and $100pp onboard credit.